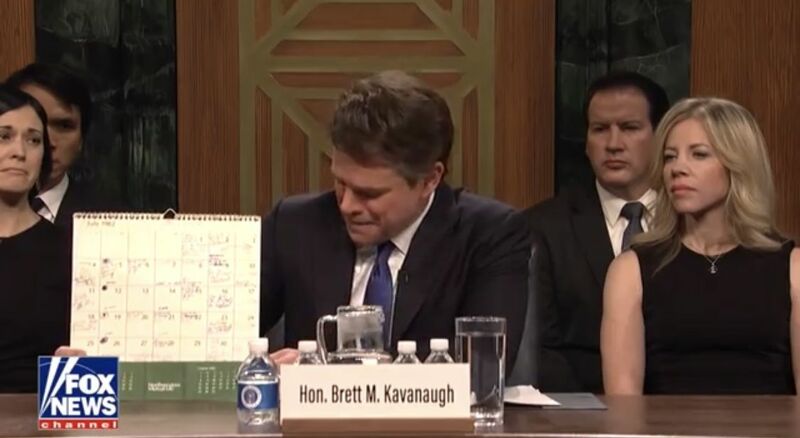 ☕️ Situational awareness: 17 of last week's 20 most read articles on nytimes.com concerned Judge Brett Kavanaugh. The top article was a scoop about a mysterious entry in his yearbook in which he describes himself as a "Renate Alumnius." Because of The Trump Show, we're more attuned to current events and know more about the news than ever. Happy hour conversations include the 25th Amendment and the Emoluments Clause. News plays in sports bars. Pundits talk casually about FBI 302 forms. And more women and minorities are getting involved in politics, setting up midterm elections likely will change the complexion of Washington. Pew Research Center reported this week that voter enthusiasm is at its highest level during any midterm in more than two decades, based on the percentage of registered voters who say they're more enthusiastic than usual. 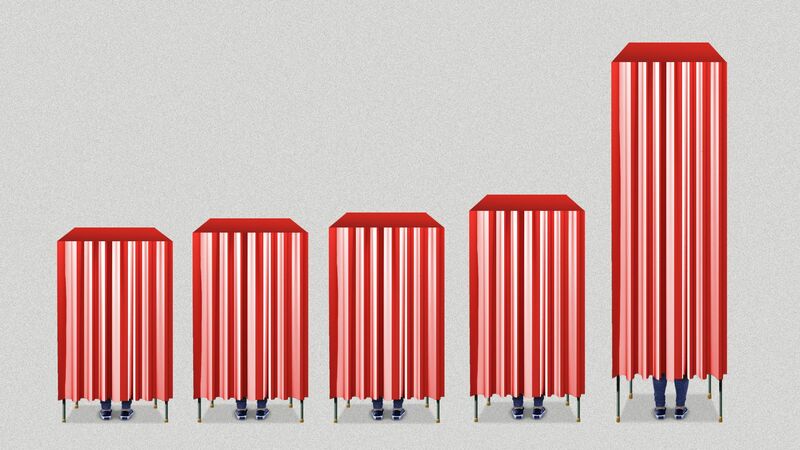 Midterm primary turnout surged for both parties. Women broke records for the number who filed — and for the number who won primaries — for Senate, for U.S. House and for governor. And a record number of women won primaries for state legislature. Cable news constantly shatters records. 12 million people collectively watched Fox News' Sean Hannity, MSNBC's Rachel Maddow or CNN's Chris Cuomo at 9 p.m. 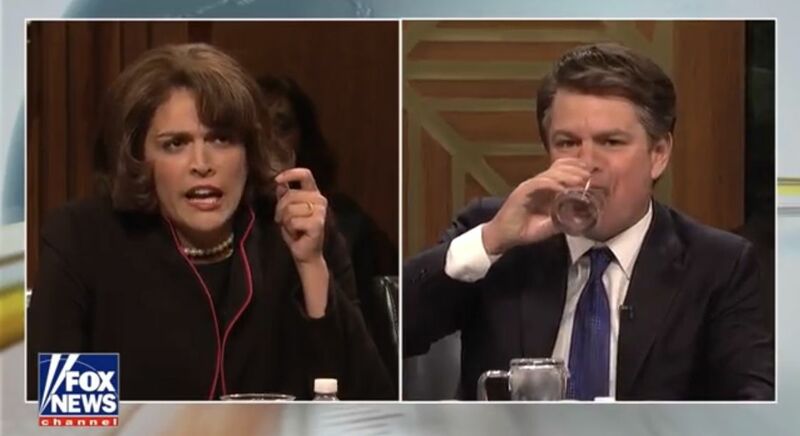 ET after the Kavanaugh hearing, enough to "put a dent in viewership for the fall premieres of broadcast network prime-time shows." TV history shows that the most successful series — “American Idol,” “Lost,” “The West Wing” and, yes, “The Apprentice” — don’t see sharp declines in viewership or talk of cancellation until around Season 6. Be smart: Whether it's resistance or defiance, American public life is the most animated it has been in our lifetimes. I like him. He likes me. ... And then we fell in love. OK? No, really! He wrote me beautiful letters. And they're great letters. We fell in love. Now they'll say [imitates anchorman]: "Donald Trump said they fell in love. How horrible how horrible is that? So unpresidential!" We have a very good relationship. He likes me. I like him. We get along. He wrote me two of the most beautiful letters. When I showed one of the letters — just one — to [Japanese] Prime Minister Abe, he said, 'This is actually a groundbreaking letter. This is an incredible — this is a historic letter." And it is a historic letter. It’s a beautiful — it’s a beautiful piece of art. Be smart: Kim runs a murderous, autocratic regime that has not only called for America’s destruction, but built nuclear-armed missiles to actually do it. Oh, before the love letters, Kim warned: "I will surely and definitely tame the mentally deranged U.S. dotard with fire." 3. 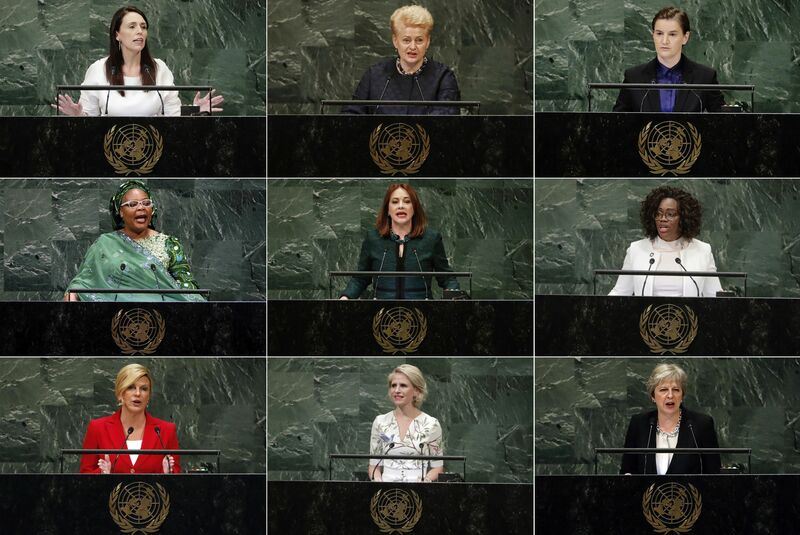 Women ascendant at U.N.
"At the U.N. General Assembly, the first since the #metoo movement took root in Fall 2017, ... some of the most powerful words have come from the mouths of female leaders, a group whose numbers, influence and ambitions for the planet are on the rise." "Female leaders presented roadmaps for peace in central Africa and the Balkans, challenged governments to fight anti-Semitism, exposed the dangers of trade barriers and resisted — or espoused — nationalist rhetoric." Serbia's prime minister, Ana Brnabić, called for a "world which is freer, fairer, and which is also, if I am to be honest, more fun." "The number of women presidents and prime ministers among the U.N.'s 193 member states doubled — to 19 — from 2005 to 2016." 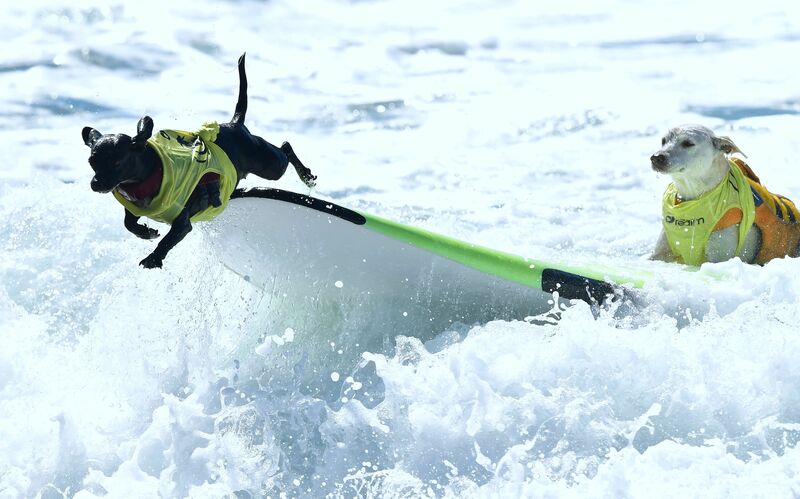 One pooch catches a wave and the other takes a leap during the 10th annual Surf City Surf Dog contest in Huntington Beach, Calif., yesterday. In a mini-recession in the U.S. in 2015 and 2016, there "was a sharp slowdown in business investment, caused by an interrelated weakening in emerging markets, a drop in the price of oil and other commodities, and a run-up in the value of the dollar." "The end of the mini-recession in the spring of 2016 created a capital spending rebound that began in mid-2016, and it has contributed to speedier growth since. Oil prices have reached four-year highs, a major factor in a surge in business investment this year." Why it matters: "It helps explain some of the economic discontent evident in manufacturing-heavy areas during the 2016 elections." "The episode is stark evidence of the risk the Trump administration faces in threatening economic damage to negotiate leverage with other nations on trade and security. What happens overseas can return to American shores faster and more powerfully than once seemed possible." Settlement details: Within 45 days, Musk must step down as chairman for a period of three years. He also must pay a $20 million penalty, and comply with new company procedures for any future communications related to Tesla, including via his Twitter account. Tesla was not a defendant but also must pay a $20 million penalty, and add two new independent directors. Those details are included in a separate settlement from the one that applies to Musk. This is a settlement with no admission to the charges or any wrongdoing. The bottom line: This is a smart decision for both Musk and Tesla. A drawn-out court case would have clouded both of their futures for months to come. 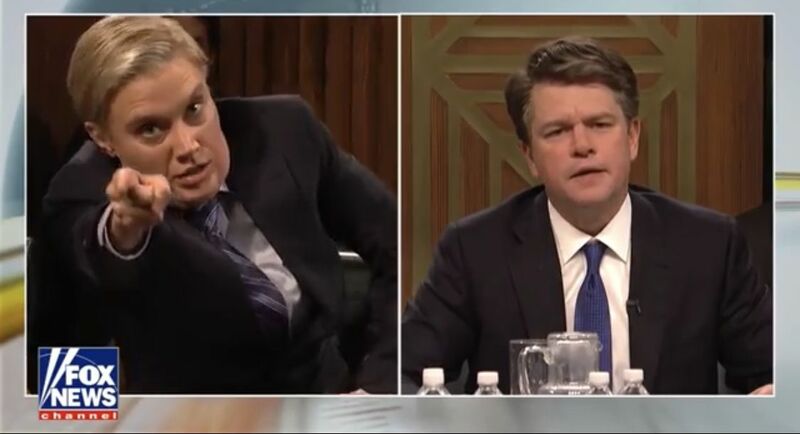 On the "Saturday Night Live" cold open, Matt Damon as Brett Kavanaugh calls himself "a keg is half full kind of guy," and apologizes for sassing Sen. Amy Klobuchar in an earlier answer: "I think I blacked out for a second." Yelling: "I'm going to start at an 11. I'm gonna take it to about a 15 real quick." "I wrote [my speech] myself last night, while screaming into an empty bag of Doritos." He gets teary as he shows off "these beautiful, creepy calendars. ... You want a real investigation? Then just look at my calendars." "Kavanaugh" says he won't quit: "I don't know the meaning of the word 'stop'!" Asked about his fitness for the Supreme Court, he says: "I went to Yale!" 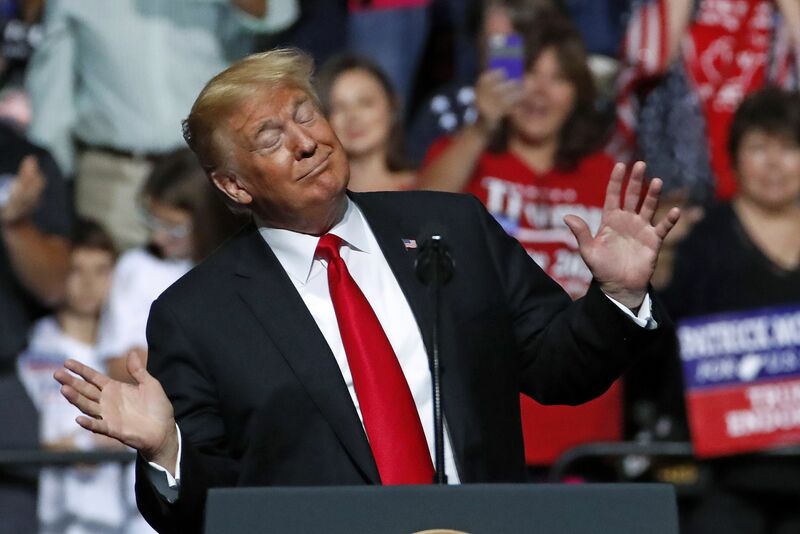 His high school buddies get new nicknames, including "Handsy Hank" — which "the liberal media is going to find some way to spin."